When her parents marry off Kansas-born Nellie Belle to the ranch foreman, she never questions that motherhood will follow. But at the dawn of the progressive era, dissatisfied Nellie seizes an opportunity to move west and start a new life. Yearning to find a sense of self-worth, Nellie leaves behind her husband and son and takes her two daughters to the Northwest. She charges forward to become the first woman court reporter to travel the circuit in the region. In small-town makeshift courtrooms and growing cities boasting new halls of justice, Nellie's strength touches many lives: independent-minded lawmen, enterprising women, hard-working immigrants, and a number of cads. But when her prodigal youngest returns home with a babe in arms, Nellie must do what she can to pull together the remains of her scattered family. 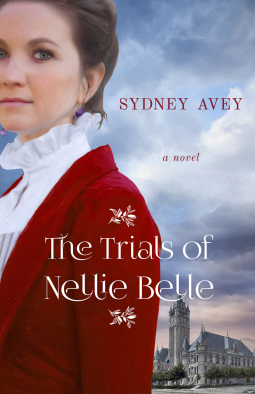 "People who liked the following books might also like The Trials of Nellie Belle: Olive Kitteridge, by Elizabeth Strout. Both feature a strong female protagonist whose past influences the present lives of others. Lives of Girls and Women, by Alice Munro. Both value a rich back story. Into the Free, by Julie Cantrell. Both articulate the struggle with faith and the power of forgiveness. Family sagas like Jane Smiley’s Last Hundred Years Trilogy and Phillip Meyer’s The Son, books that capture the influence of transformative periods of time on families. All She Left Behind, by Jane Kirkpatrick. Both feature women who defied convention to pioneer the Northwest.Both hold out redemptive hope to those whose willfulness cause friction. The Glass Castle, by Jeannette Walls. Both take risks telling a deeply personal family story." Sydney Avey plans to boost Facebook posts to increase “likes” on her author page, create FB editorial calendar, promote via Light Messages (LM) platforms, hold a book launch, send a “Coming soon” email to Light Messages contacts with info to pre-order, provide images to use for social media content, create a press release for launch day, reach out for guest posting on historical fiction and writing blogs, etc.